This is a potentiometer (pot) or variable resistor. 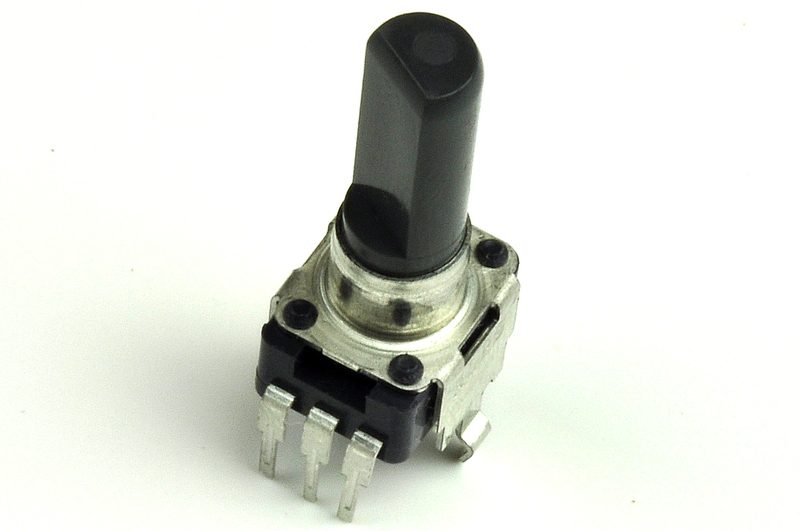 It is very nice high quality potentiometer. The pot open up many interesting user interfaces. Turn the pot and the resistance changes. 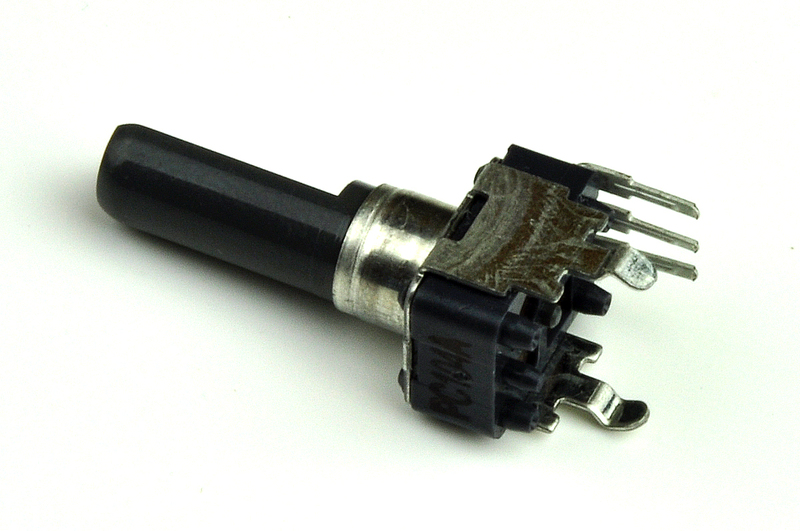 Connect VCC to an outer pin, GND to the other, and the center pin will have a voltage that varies from 0V to VCC depending on the rotation of the pot. Hook the center pin to an ADC on a microcontroller and get a variable input from the user! 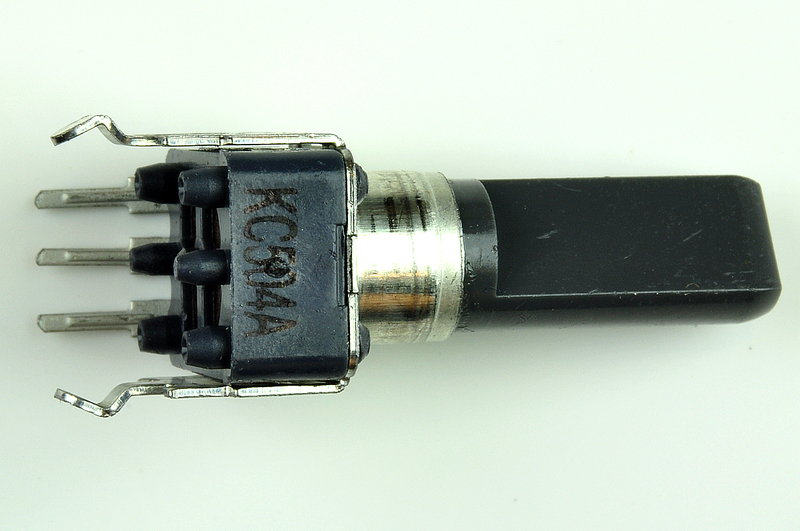 This is a center-tap logarithmic type potentiometer. The outer two pins will always show about 500K resistance, the center pin resistance to one of the outer pins will vary from 455K Ohm to about 18 Ohm. This pot works great in a breadboard. However on a few breadboards, you may have to trim off the large metal anchors. 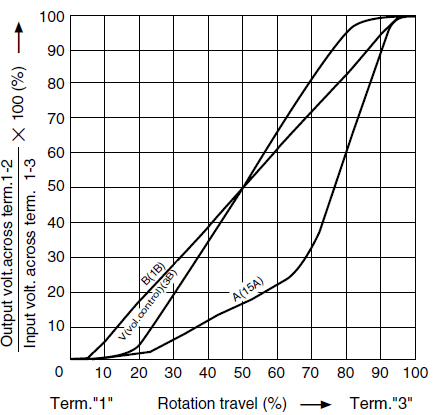 The pot is logarithmic meaning the resistance will vary logarithmically with its position. This is a good choice for audio amplifiers projects. 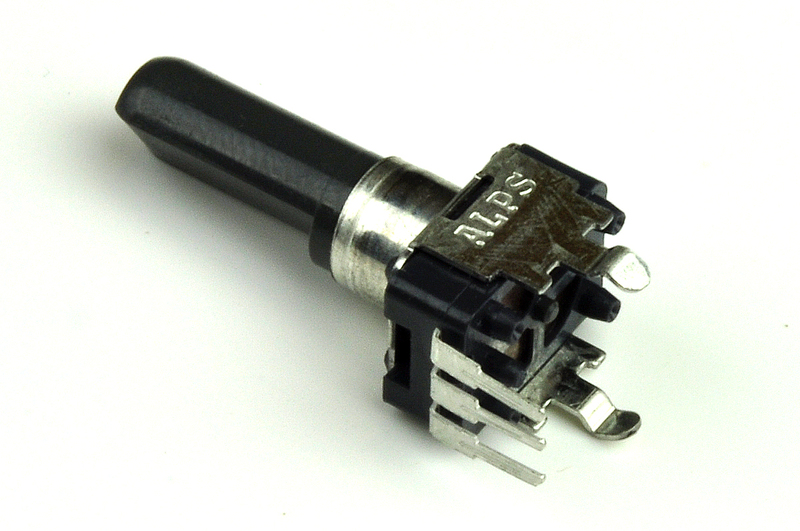 If you need a linear potentiometer see here. Below is the resistance graph. This model is "A(15A)".